Week #10! Hard to believe how fast time is going isn’t it. I hope you are finding your home slowly becoming the uncluttered and not so chaotic space you want it to be. With my trip last week and the craziness of all that had to be done at home when I returned I didn’t get a chance to reply to comments on last week’s post. I do apologize for that. I did however get a chance to blog hop on the awesome links and was super impressed with all the organizing going on. It makes me just giddy, you have no idea and I’m just so happy to see what a difference it is making in your lives! 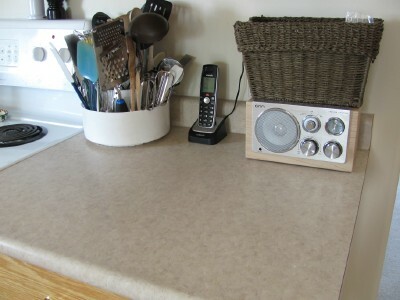 This week I want to talk a little bit more about how to keep your flat surfaces clear. From the comments and emails received about this topic I know many of you desire this for your homes and just aren’t sure how to go about it, not to mention maintain it. Let me give you a couple of tips. Everyone has a space, most likely the kitchen counter, dining room table or near the front door, where paper piles seem to occur the most. It’s where mail, bills, school papers, cell phones, magazines, etc get dropped. I’m talking about items that need to be actioned or referenced regularly and therefore can’t be filed away right away. This is normal and I don’t know anyone that avoids this all together especially if you have kids. The trick is to stop fighting it and come up with a way to “store” these things to reduce the visual clutter that happens when it’s spread out all over the place. Now that you know what’s piling up it’s time to create some storage solutions that will not only give you some valuable space back but reduce the visual clutter in your home as well. Baskets work well to provide limits and boundaries which is what I find so appealing about them. In my home I have a small section of kitchen counter right by my stove that is at the entrance of my kitchen. Here it is cleared off…believe me it doesn’t always look this way! You can see I’ve added a basket there for miscellaneous items that I routinely go through but it gives me somewhere to tuck things in the meantime. Also I am a huge fan of the Fridge File that I use as a command center of sorts to help corral all those school papers and schedules that I reference regularly. I just can’t say enough about how much it helps me stay organized in this area. My other hot spot, like many families, is my dining room table. My son likes to color and do workbooks at the table while I’m cooking, I like to read the weekly flyers there, magazines, etc. If I didn’t have a designated space for them off the table, they would just pile up and pile up and would eventually make it unusable space. Let’s not go there. Here’s how I resolved this issue. 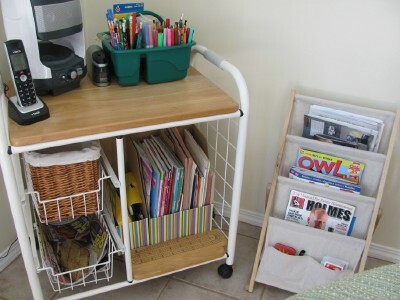 Tucked in the corner of my dining room I have a tea cart that holds some craft supplies and workbooks for my son (store stuff where you use it!) and one of the pull out drawers holds my flyers. Beside that I have a magazine holder that works awesome to help me keep my table cleared off and create an uncluttered calming environment instead. Here are a few examples of ladies from last week’s links that came up with practical solutions to keep their flat surfaces cleared. and as well she added these clear file folder holders below that she prettied up with the help of some scrapbook paper. 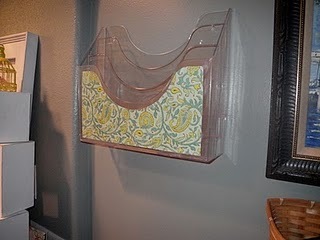 This is an excellent idea for holding file folders for each of the kids, bills to be paid, invitations, schedules, etc. Kirsten from Doris Today Designs uses a lovely holder to keep the clutter contained and up off her bathroom counter. So pretty and practical! I hope you find these suggestions helpful. It’s time to take back those flat surfaces!! What are your hot spot landing zones? Think about ways you can tackle these flat surface areas to manage the stuff that continues to pile there. What are you most proud of so far in your 52 weeks journey? Oh my GOSH – your new website looks MARVELOUS! Great topic for this week, Laura. My kitchen island, even though I declutter it weekly, is always a mountain of STUFF hours later. Just this morning, my oldest “lost” his homework on it and almost missed the bus. Not a pleasant way to start the day! I ended up reminding (okay, yelling at) him to be more responsible and “not put important things on Mommy’s messy piles if you ever want to see them again.” Ugh, poor kid. We clearly need to create some solutions, and I need to be a better role model for my kids. Ahhh so awesome! So proud of you!! Have you tried designating a space just for the homework? That might help. I recently cleared off our landing site – which is a counter in our kitchen. It has been a few weeks, and following your rule of the 10-minute tidy at the end of the day, has kept it relatively tidy (some days more so than others!!!). Yes it really does make a difference doesn’t it. Some days I have to force myself to do it because I’m so tired but I know now that if I don’t I set myself up for disaster the next day. OMG, I love the new look! Awesome! This is the post I have been waiting for, flat surfaces! I will have to go through and work thru my spaces. Thanks for the tips! Can you post a picture of your fridge file, its hard to get an idea how it looks from the picture in the link. Thanks so much. BTW I love you website and look forward to visting it everyday. Wow, your website looks great! It’s so ORGANIZED! 🙂 I’m truly in love with the new look. Great tips on landing areas. Thanks! One thing I’ve figured out about myself is that I end up forgetting about the papers I’m supposed to follow up on unless I can really see them individually. I added cork boards to the inside of the doors above my desk hutch so I can pin everything up and have it right in my face every time I open up my desk. Fantastic idea!! So happy you found a solution that works for YOU!! My hotspot has been our dining room table. My husband brings in the mail and paper, looks thru it and plops it on the table. Lately he’s been emptying his pockets there as well . I had a talk with him and said this is my pet peeve. I found a solution by getting the mail and paper myself. I place the mail in our office and the paper in the living room. He unloads his pockets on his dresser. I have no problem with this. He knows I honor his pet peeve…so he owed me one. Yes! Compromise and negotiation and honoring each other with respect in the process. Love it! I just want to thank you!!! becasue of you and your site i have been on a housewide kick of cleaning, purging, reorganizing until everything works for me since i am the household caretaker. 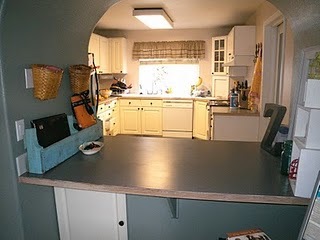 i have found my kitchen counters and kept them that way for 2 weeks easily. i have a charging/telephone station, a clean/practically empty/organized junk drawer both in my kitchen. my master closet is custom built by me and just how i like it kept. i have a backpack, a shoe, a coat station for my kids and daycare kids. my living room and dining room are completely clutter free. my main bath is pretty, clean, and organized. my workout area is completely clutter free and clean. my spring cleaning is already done (just curtains to wash). my master bedroom is almost finished just need to paint my accent wall and maybe buy some curtains. 🙂 i have a plan to touch up & redo a bit more my laundry/pantry/utility room to make it work better. i have a plan for the family toom to build shelving to organize that area. i have a plan to redo/touch up my linen closet. i plan to finish the coat closet. i have a plan in place to build my dd a custom closet similar to my own plus toy shelving as well. the last room to do a bit more work on will be the office/school/craft room just because it works now just not super efficiently and not figured out how to fine tune it yet. Oh Stacy this is so inspiring, thank you for sharing! Our dining room table is the hottest spot in the house! We have some others, but the problem is when I clean those off, things without a home go to the dining room table. It is a disaster! We have added storage nearby for key things. It is the random things that cause problems. Also since other things are on it, my boys just add their stuff on top. We will continue to figure this out! By the end of the year I will have this main challenge conquered! I think the thing I am most proud of is that even doing a little thing each week – makes a BIG difference. It has also motivated me to do bigger things too. Yes it’s so true, clutter attracts more clutter. Can’t wait to hear what solution you come up with! Im excited I got our coat closet cleaned out and reorganized. I purchased one of the closet maid two-drawer stackable unit to help keep clutter off the floor. so, far i have done closet work and pantry work but it’s all in a matter of time before each area is organized. it’s one thing at a time. Yes! You are making great progress! 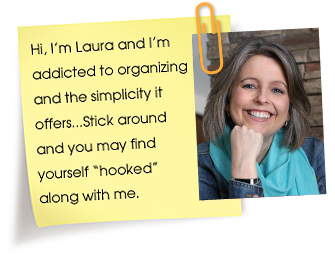 These tips are great…I find flat surfaces in my house are clutter magnets…Thanks for doing these 52 weeks…they have been a great help in getting and keeping me motivated to get our house organized and decluttered! So great to hear Shannon! 1. What are your hot spot landing zones? The desk by the front door and the dresser inside my bedroom door are my two main hot spots. 2. Think about ways you can tackle these flat surface areas to manage the stuff that continues to pile there. So far, I have managed to maintain control over these hot spots because of my new filing system. I also continue to use my phone and home journal to write down important things and shred the rest. 3. What are you most proud of so far in your 52 weeks journey? I am proud that I have done so many projects that I never would have taken on without the help of the advice in the book and blog and by the ladies that link up to it. I never knew how easy it was to take on one project at a time rather than taking on the whole room or area at a time. I have gotten rid of so many items I was hanging on to for emotional reasons, even though they were just junk. Thank you for sharing your story and being an encouragement to others! Sorry, busy, busy weekend I’m a little late linking up, but talk about cluttered surfaces – just wait until you see mine this week! Thanks for hosting Laura. Love the new site design!! Hi Laura, great site. I do think that your utensil caddy looks a little “unorganized”….it seems like you could thin it out and it wouldn’t look so cumbersome. Just a suggestion. Thanks. a thrity mom’s “HIGH” so i wanted to get a more closetmaid shelf unit to finish off the entry area and lo & behold i find one on clearance due ot open pkg at Meijers. so my entry looks great. I got to my linen closet and it looks great. kitchen only takes 5-10 minutes to be perfect again after meals or whatever. so even with scout bag distribution of (5 HOURS!!) i got a lot accomplished this weekend. oh and my wonderful hubby did some plumbing too!! eek! Thank you so much for featuring my pictures and post! What a treat! I love your blog and it inspires me in so many ways. Thank you! 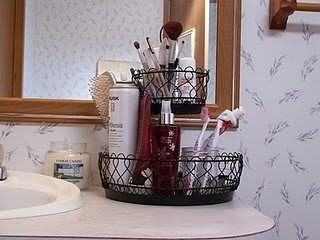 I’m kinda late getting to this post, but I love the bathroom idea from Doris and the basket idea for my scrapbook room. Thanks so much!